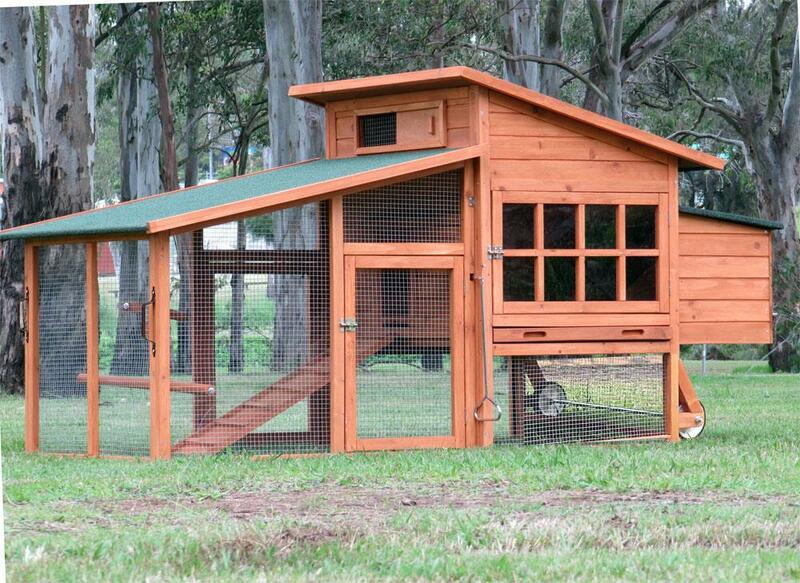 Could suit 4- 5 MED HEN or 4 RABBITS. THIS MODEL IS MUCH BIGGER THAN OUR G200 MODEL. The house and the run can be used together or separately. We recommend treating the wood once you receive item with a Paint or Clear Varnish and then once a year to sustain the finish. We are the ONLY ones who give the 1 Year Warranty on this product. It could arrive with some minor scratches or scrapes to the wood & bitumen.